The Chiefs sent a warning to the rest of the Super Rugby opposition by smashing the Brumbies 23-48 with a bonus point in Canberra. The match was between the top two teams in Super Rugby this season and the Chiefs clearly demonstrated who the better team is. The Chiefs had not won in Canberra since 2008 and had lost their last on their last four visits to the Australian Capital. The Chiefs outscored the Brumbies by six tries to two in the match and have now secured four straight wins outside New Zealand for the first time in their history. The Brumbies are the top Australian team but they have now lost to the top South African team the Stormers and the top New Zealand team. The Chiefs achieved the victory without a number of their stars such as Brodie Retallick and Tawera Kerr-Barlow so when these players return they will most likely improve. The Chiefs were on a different level to the Brumbies, ripping apart their usually strong defence for a club record fourth straight win outside New Zealand and their first win in Canberra since 2008. The competition’s leading scorer Damian McKenzie helped himself to 23 points — all the points the Brumbies scored combined — from a try, three conversions and four penalty goals. 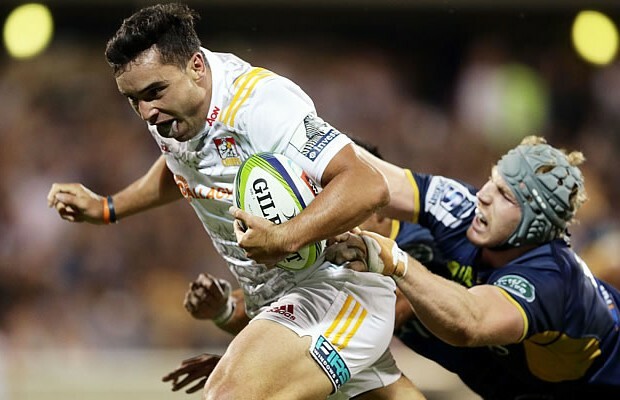 The Chiefs looked championship contenders with their fluent attack while two-time winners Brumbies took a massive hit to their chances of winning the title, such was the disparity between the two teams. The Chiefs have now won four of their last six games against the Brumbies and continue their rousing start to the season after demolishing another Australian team, Western Force, 53-10 last week. Christian Leali’ifano kicked two penalties to give the Brumbies an early 6-0 lead but the Chiefs took charge and were in front by the 30th minute and were never headed from there. 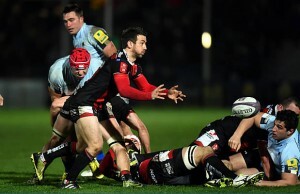 “The backs are electric at the moment. Our job as forwards is just to give them some ball and it seems whatever ball we give them they are making the most of it,” Chiefs skipper Sam Cane said. The Chiefs scored some wonderful tries through their improvised attacking rugby, with All Black fly-half Aaron Cruden calling the shots and dynamic winger James Lowe scoring two tries and setting up another for McKenzie with a chip and regather kick. Waikato scored three tries in the first half and led 20-13 at half-time and never released their grip in the second period with a further three tries. 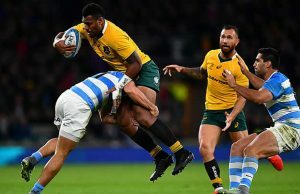 The Brumbies looked limited by comparison with both their tries from forwards Scott Sio and Scott Fardy scored from close range, while fly-half Leali’ifano finished with 13 points from three penalties and two conversions. “They played well and we were just not good enough,” conceded Brumbies skipper Stephen Moore. Next week the Brumbies have a bye and the Chiefs host the Blues at home in Hamilton. Replacements : Josh Mann-Rea, Allan Alaalatoa, Leslie Leulua’iali’i-Makin, Tom Staniforth, Jordan Smiler, Joe Powell, James Dargaville, Nigel Ah Wong.